What do you get when you come across an artist that has the sound of 70’s, 80s, and 90s R&B Soul with beautiful melodies and smooth vocals? You get an artist named Joonie with a masterpiece of a sophomore album called, “Contrast”. Calvin “Joonie” Gary, Jr. is a singer, songwriter, musician, arranger, and producer based out of Los Angeles, CA. He is also a multi-instrumentalist who plays most of the instruments on his latest album. “Contrast” is the ultimate love album. Songs like “Wish Her The Best (Delilah, Part 2)”, “No Tears” are songs about ending a relationship, however, they are written with such love and care that you can’t help but feel good when listening to them. If someone were to leave you, you would want them to think and feel this way about you at the end of it all. Joonie is such a gifted songwriter that he places the listener right in the midst of what he is singing about. “For You”, “Far Away”, “Official” and “Life’s Better” are a few of the many standouts of the album. The vocal arrangements, instrumentation and production on “Contrast” are tight and effortless. This album has such a lovely sound and vibe to it that you can’t help but reminisce about the songs of the old days. Songs that actually have song structure and nuances that are missing in today’s music. Joonie is a true artist along the lines of Prince in that he produces, writes and arranges his own music. You should really check this album out and spread the word! This music deserves to be heard. Check out the music below and let us know what you think! 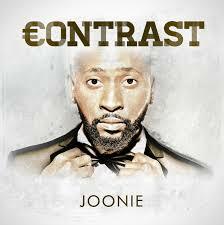 “Contrast” is available on iTunes and on his official website here and here. Sharing my love and passion for Indie and Underground music and the artists that do not get the exposure they deserve. Join me in exploring this uplifting music and the obscure talent that creates REAL Music. Enough with the garbage that is on the radio! Join the Soulster Vibes Mailing List! Join our mailing list and receive notifications of new posts by email. In life, everyone has something that they'd like to change, remove or improve upon. Everyone and everything, be it physical, spiritual, emotional, or material needs to getmended. What ails ya? Dope music cooked up to serve your soul. Come get a taste. Without a song or a dance what are we? "Discovering Great Music" Follow me to record fairs, Live performances and on record hunting expeditions as I seek out the very best in Soul Jazz music to add to my vinyl collection. From the early roots of Soul and Jazz to the numerous Soul and Jazz influenced sub-genres and styles we know today, Soul Jazz Review embraces a broad range of artists and eras with an emphasis on lesser known gems you may not have heard before. Each review includes an embedded YouTube file to enable you to listen to the music yourself and make up your own mind. I hope you find something you like! Sharing my wild hair journey, one kink at a time. General ramblings and stuff that should probably remain in my head.